Your first adult credit card is exciting and scary at the same time. After all, it's easy to fall into credit card debt if you're not careful. But no matter what your financial situation is, having the right credit card in your pocket is a wise move. It can help you manage your cash flow when it's not steady. But even better, it can help you save money and reach your goals. A credit card is also essential to building your credit history. As you move further into adulthood, you'll need that credit score for almost every major thing you do, from buying a car to renting an apartment. Employers may even do a credit inquiry as part of a background check. Tip: Do you have a credit history? If you've never had a credit card, a car loan, or a student loan - you will need to build credit first. You'll probably need to start with a secured credit card. Or if you are still in college, a student credit card. For twentysomethings picking out their very first credit card, it can be confusing and jargon-y. So we've put together a guide to credit cards for young adults to help navigate these new waters. Remember this: The "perfect credit card" doesn't exist. A card that's great for your friends and colleagues may have little use to you. Or you may come across a benefit you love on one card (like a super-low interest rate) and then notice some glaring negatives (like a fee for purchases abroad). Rewards: Look for a credit card with rewards that fit your lifestyle. What's the point of earning rewards on grocery shopping if you rarely step foot in a supermarket? 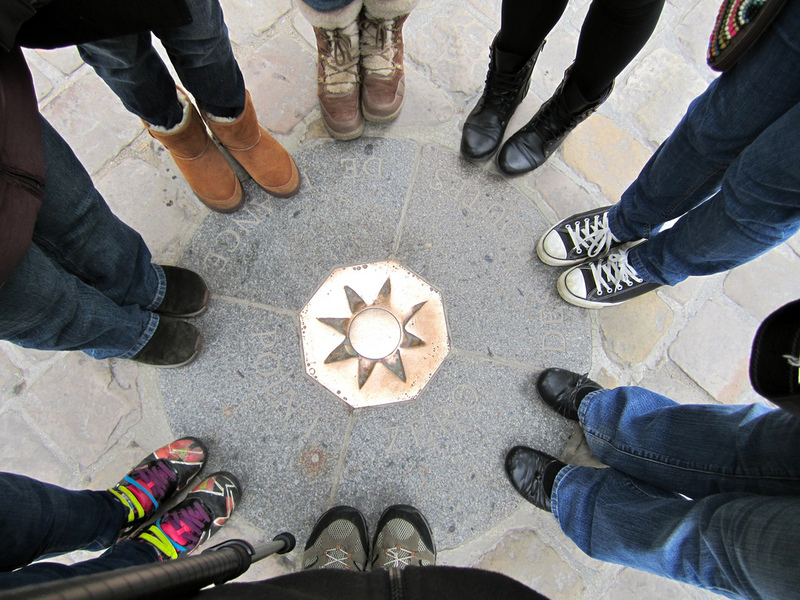 Identify one main goal: traveling, getting cash back, paying off debt, or maybe something else entirely. Look for a credit card to help you reach that goal. If you want a card with cash back, then the Chase Freedom Unlimited is a great option. You can earn cash back on all purchases. 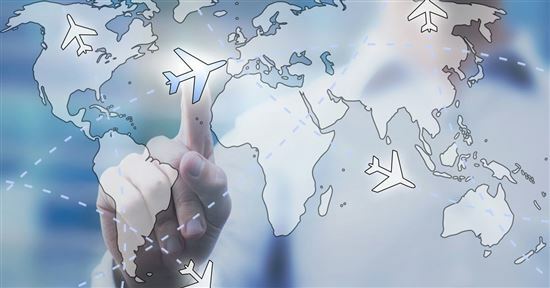 For international travel, you should consider the Chase Sapphire Preferred. You can transfer points to Ultimate Rewards travel transfer partners. Tip: Bonuses are also great incentives to apply for a credit card. As long as you can meet the minimum spend, you'll get a nice lump of cash or travel points to get a jumpstart on your goals. But never apply for a card just for the bonus--pick the one has rewards or features you need. Interest rate: Pay attention to the interest rate or APR (annual percentage rate). Reward cards tend to have higher APRs for all the benefits they offer. If you can't pay off your balance every month, look for a credit card with low interest rates instead. If you have large purchases on the horizon (like when furnishing a new apartment), you can choose a card with a long 0% intro APR. This will allow you time to pay off your purchases interest-free before the regular APR kicks in. Tip: High rates can spell big trouble if you aren't careful. The average credit interest rate is nearly 16%. Many "starter card" rates can climb even higher. Young adults get in trouble by charging purchases they can't afford. Use your card responsibly: only buy what you can afford AND pay off your balance every month. Benefits: Paying by credit card gives you certain benefits. Some cards include perks such as extended warranty and travel insurance. Learn your benefits so you can take advantage. 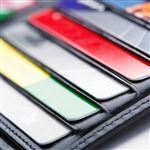 Best Credit Cards for Millennials: If you routinely spend thousands per month on your credit card, a card like the Chase Sapphire Preferred might be worth considering. Fees: In general, beginners should start with a credit card without an annual fee. But an annual fee might makes sense if you're a big spender and find a card whose rewards match your spending. For example, if you spend more than $61 a week on groceries, consider the Blue Cash Preferred from American Express, a CreditDonkey partner. Blue Cash Preferred earns 6% cash back at U.S. supermarkets on up to $6,000 per year in purchases (then 1%). But it does come with a $95 annual fee (See Rates & Fees). This might be a smart choice for young families with grocery expenses. What is Visa and Mastercard? These are not card issuers, but rather card payment networks. Both are widely accepted worldwide by almost all merchants. There may be some exceptions, like for example, Costco is partnered exclusively with Visa now. But to most users, there will be little difference. The other two popular payment networks are American Express and Discover. These are not as widely accepted, so some merchants may not take them (especially in foreign countries). Whichever card you choose, make sure to use it responsibly. You can rack up a mountain of debt if you only pay the minimum each month. And missing a payment means a huge late fee AND a penalty APR as high as 30%. Now that you know what to look for, let's review your choices, starting with some great rewards cards. A credit card that gives you cash back is a pretty sweet deal. Whether you're shopping or eating out, you can be earning something for every dollar you spend. Look for a cash back card with a rewards structure that fits your spending patterns. But you'll need to keep your spending within a budget so you can pay off the balance every month. 5% Rotating Categories: Discover It will match all the cash back you've earned at the end of your first year. This offer is only for new customers. This card earns 5% cash back in bonus categories that change each quarter (up to the quarterly maximum; requires free activation each quarter). All other purchases earn 1% cash back. Low Interest: We get it, sometimes life happens. As a young adult in today's uncertain job market, you may not have steady cash flow every month. Chase Freedom Unlimited lets you earn 3% cash back on all purchases in your first year up to $20,000 spent. After that earn unlimited 1.5% cash back on all purchases. There is also a 0% intro APR for 15 months from account opening on purchases and balance transfers, then a variable APR of 17.24-25.99%. The balance transfer fee is 3% of the amount transferred, $5 minimum. The cash back rewards will not expire as long as your card account remains open. There is no annual fee. Cash back is great but if traveling is your passion, here are some some great travel cards you don't want to miss. There's nothing like travel when you're young. You have the energy and enthusiasm to see exotic place before getting tied down with responsibilities. As a hard-working young professional, you deserve a chance to get away on vacation. And these travel credit card deals can help. But they require excellent credit. That's right—the right travel card can help you reach your goals with less money out of your own pocket. Most don't have foreign transaction fees and come with travel insurance benefits (like lost luggage insurance). Which credit card is best to start with? No annual fee: Capital One VentureOne offers a one-time bonus of 20,000 miles if you spend $1,000 on purchases within three months of account opening. 20,000 miles is equal to $200 in travel. This card earns 1.25 miles per dollar on all purchases. 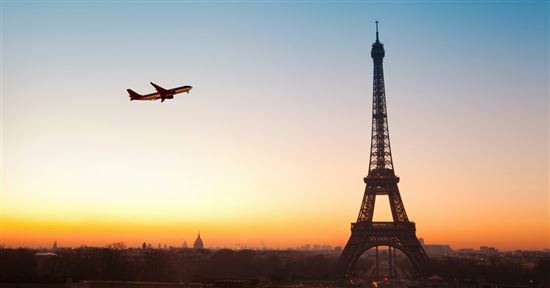 You can redeem miles toward travel purchases on any airline, hotel, or car rental. There is a 0% intro APR on purchases for 12 months. After that, a variable APR, currently 14.24% to 24.24%. There are no foreign transaction fees. There is no annual fee. If you prefer a specific airline or hotel chain, take a look at travel credit cards to see how long it would take you to score a free flight or hotel stay. Also, look into earning airline miles and points - if you are a frequent traveler, you really stand to benefit if you pay attention to both your earning and redeeming options. Sometimes getting your finances in order is more important than great perks and rewards. Keep reading for cards to help you get back on track. What if you racked up some credit card debt in college or as a new grad? No worries, you're still young enough to set it right. A balance transfer card will help you pay off that debt faster. By transferring your debt to a card with an introductory 0% APR period, you'll have time to work on lowering your debt without accumulating more interest. Amex EveryDay offers 10,000 Membership Rewards® points if you spend $1,000 on purchases within the first three months of opening your new card account. Enjoy a 0% intro APR for 15 months on purchases and balance transfers, then a variable rate, currently 15.24% to 26.24%. There is $0 balance transfer fee. Balance transfers must be requested within 60 days from account opening. This card earns 2x points at U.S. supermarkets (on up to $6,000/year in purchases, then 1x) and 1x points on other purchases. If you use your card 20 or more times on purchases in a billing period, you will earn 20% more points on those purchases (less returns and credits). There is no annual fee. Terms apply. Chase Slate offers a $0 intro balance transfer fee for the first 60 days your account is open. After that, the fee for future transactions is 5% of the amount transferred with a minimum of $5. This card has a 0% introductory APR for 15 months on purchases and balance transfers. After that, a variable APR, currently 17.24% to 25.99%. Plus, you can see your monthly FICO Score for free. There is a $0 annual fee. To see for yourself how much you can save with a balance transfer, play around with our balance transfer calculator. Do you have student loan debt? 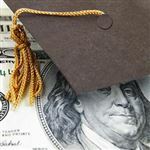 Read the best ways to pay off student loans fast. Also, see if you qualify for student loan forgiveness. There are several income-based repayment plans and jobs that offer loan forgiveness. Your card options may be limited by your credit history. Keep reading to find the best cards in your credit range. Your credit score is one of the biggest factors in determining what card you can get. All cards all have their own credit requirements. Here, young people are at an obvious disadvantage as they have had less time to build their credit. But whether you have good credit, bad credit or none at all (yet), you can still find the credit card that's right for you. We recommend checking out at least three cards before applying. Tip: Keep tabs on your credit score. The most commonly used one is the FICO score. Check your FICO score for free with the Discover Free Credit Scorecard--you don't need to be a Discover customer. 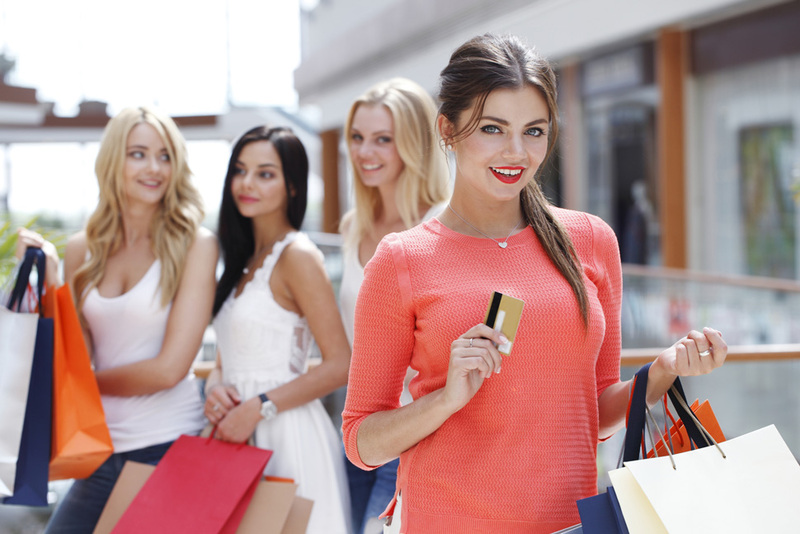 If you've established good credit early on, reap the benefits with some awesome reward cards. Decide what kind of rewards fit your lifestyle and goals (the most popular are cash back or travel miles). Then jump over to this article to read our list of credit cards for those with good credit. Blue Cash Everyday offers a $150 statement credit after you spend $1,000 on purchases within the first three months of opening your new credit card account. 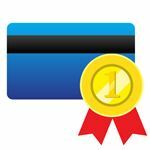 This card earns 3% cash back at U.S supermarkets (on up to $6,000/year in purchases, then 1%), 2% cash back at U.S gas stations and at select U.S. department stores, and 1% on other purchases. The cash back is received in the form of Reward Dollars that can be redeemed for statement credits, gift cards, and merchandise. There is a 0% intro APR for 15 months on purchases and balance transfers, then a variable rate, currently 15.24% to 26.24% (See Rates & Fees). There is no annual fee (See Rates & Fees). Terms apply. Tip: If you have good credit and no credit card debt, the next step is to build wealth by investing. Read our beginner's guide on investing to get started. Nothing is too small. If you have fair credit, you can still get a good credit card with useful benefits and reasonable fees. 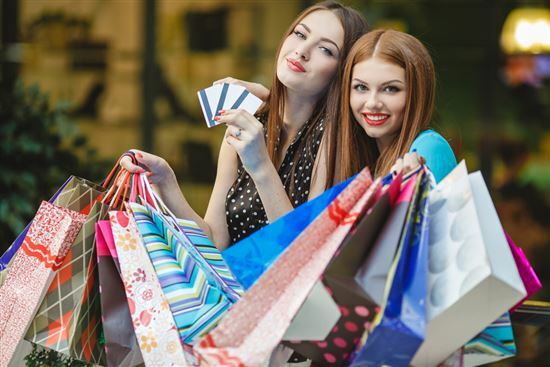 Capital One QuicksilverOne earns 1.5% cash back on all purchases. After making your first 5 monthly payments on time, you can be eligible to receive a higher credit line. There is a $39 annual fee. Tip: Develop good habits with your new card. If used correctly, a credit card can be a great first step toward building your credit history. But that's a big IF. Get in the habit of paying off your balance every month and avoiding interest that can cripple your savings. It's also wise to avoid opening multiple credit cards accounts at once. Limited credit means that your credit history is still very young (less than 1.5 years). There's not enough information yet to show banks if you can responsibly handle credit. Your credit card choices will be limited as well. With responsible use, you'll build positive credit history and be able to graduate to a better rewards card. Capital One Platinum offers a no annual fee credit card to people with fair credit. You get access to a higher credit limit after you make your first 5 monthly payments on time. Are you new to the world of credit? What credit cards can you get with no credit? If you are in college, consider a student credit card. Discover Student It Card will match all the cash back you've earned at the end of your first year. This offer is only for new customers. This card earns 5% cash back in bonus categories that change each quarter (up to the quarterly maximum; requires free activation each quarter). All other purchases earn 1% cash back. Plus, you earn a $20 statement credit each school year your GPA is 3.0 or higher for up to the next 5 years. 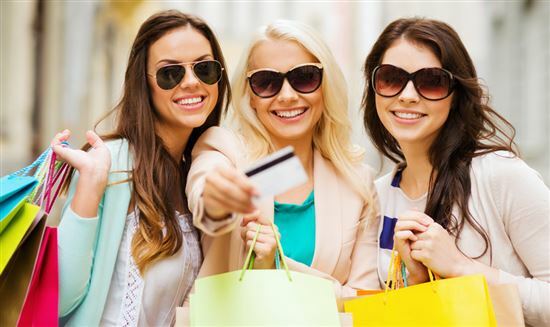 Capital One Journey offers 1% cash back on all purchases. If you pay on time, you can boost your cash back to a total of 1.25% for that month. After you make your first 5 monthly payments on time, you may get access to a higher credit line. There is no annual fee. If you are out of college, you'll probably need a secured credit card. A secured credit card does not require a credit history for approval. Instead, it is secured by a deposit. Discover it Secured Card reports to the 3 major credit bureaus to help you build or rebuild credit with responsible use. This secured credit card's variable APR is 25.24%. The minimum refundable security deposit is $200 (up to the amount Discover approves) and your credit line equals your deposit. Starting at 8 months, Discover will perform automatic monthly reviews based on your responsible credit management across all your credit cards and loans to see if you could qualify to transition to an unsecured line of credit. You will see your FICO credit score for free on your monthly statement and in your online account. There is no annual fee. If you have bad credit, there is still hope. We all make mistakes, especially when we're young. If you've been branded with a bad credit score, you have a whole lifetime to repair it. Use your credit card wisely to prove that you're dependable. Which credit card is best for building credit? You can consider using a secured credit card to help rebuild your credit history. Citi® Secured Mastercard® reports to the 3 major credit bureaus to help you build credit history. This secured credit card's variable APR is 24.74%. A minimum $200 security deposit is required. There is no annual fee. Tip: If you have no credit or bad credit, it's possible to get a co-signer for a credit card. This is a person who will be legally responsible for your debt if you don't make payments. Unfortunately, not all banks allow you to get a credit card with a co-signer. What About Prepaid Debit Cards? Prepaid debit cards are also an option if you have bad or no credit because you don't need a credit check to get one. You simply load money onto the card. For example, if you want $500 to spend, you need to put $500 onto the card. Then use it for purchases until the $500 is all gone and you have to reload. Prepaid cards are more like debit cards though you don't need a bank account to get one. (This may be good for you if you don't want to deal with a bank.) But prepaid cards don't report to the credit bureaus to help you build credit (unlike secured cards). 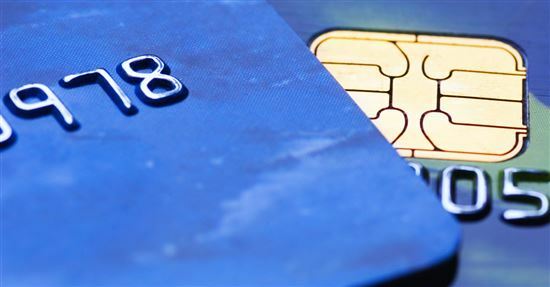 But watch out: prepaid cards have a lot of fees. There's usually a monthly service fee, as well as reload fees and ATM fees. What is the easiest credit card to get? Starter credit cards are fairly easy to get, even if you have limited credit history. However, they won't have great rewards. Some of the most popular starter credit cards are Capital One QuicksilverOne and Capital One Platinum. What is the best credit card for a beginner? Beginners should look for a credit card with no annual fee. But really, it may come depend on what card you qualify for with limited credit. If you have good credit history already, go for a cashback rewards card. If you have no credit or bad credit, you'll only qualify for secured cards. If you're a student, a student credit card is the way to go. If you have no credit at all (or bad credit), your options will be limited to secured credit cards. With these cards, your credit limit is secured by a deposit, which reduces risk to the lender. Secured cards will help you build credit over time as your activity is reported to the credit bureaus. Credit cards are a convenient way to track your spending and manage your finances. They're also an important tool for building credit that will help you later in life. Find the one that best fits your needs and look for rewards too, whether cash back or travel miles. If your choices are limited by low (or no) credit, start with a basic card to show you're a reliable credit user. Bulk up your credit history and you'll be eligible for reward cards with great perks soon. For rates and fees of the Blue Cash Everyday card, please click here. For rates and fees of the Blue Cash Preferred card, please click here. For rates and fees of the Barclaycard Arrival Plus card, please click here. Disclaimer: The information for the Discover it® Cash Back, The Amex EveryDay® Credit Card from American Express, Chase Slate, Discover it® Student Cash Back, Capital One® QuicksilverOne® Cash Rewards Credit Card, Capital One® VentureOne® Rewards Credit Card, Journey® Student Rewards from Capital One®, Capital One® Platinum Credit Card, Citi® Secured Mastercard®, and Discover it® Secured has been collected independently by CreditDonkey. The card details on this page have not been reviewed or provided by the card issuer. Leave a comment about Credit Cards for Young Adults? Which Chase Sapphire Has No Foreign Transaction Fee?